The journey began in 2005. Fresh out of college, Dr. Rebecca Amstutz did what any recent graduate with a Doctor of Chiropractic would do: got a job treating patients at a chiropractic office. Over the next few years, she built up a sizeable clientele, never questioning her choice of career — that is until she attended one particular conference in 2010. As is true of all chiropractors, Rebecca needed to complete 20 hours in continuing education each year to remain eligible. This led her to a conference where one of the speakers was a veterinarian who practiced animal chiropractic care. It was the icing on the cake. 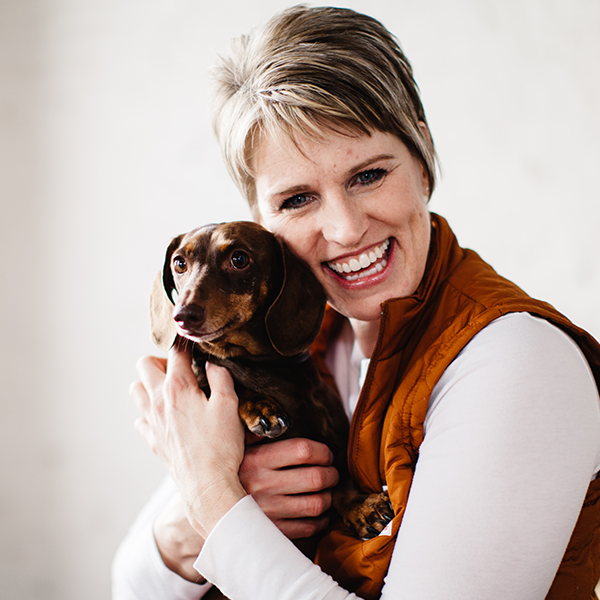 Rebecca could combine her love of chiropractic medicine with her love of animals. So, she started work on her certification in Veterinary Spinal Manipulation Therapy. After 226 hours of training, she became one of a handful of doctors in Minnesota to provide this specialty. But as she was trying to market this new business venture, her job went south. And like anyone, she went into survival mode. This sudden detour took her to one of our mastermind classes. It was here that Rebecca learned that cash isn’t the only type of capital in the business world. Everything from emotional capital, spiritual capital and physical space to knowledge, labor and time can be used to blaze your own trail. Seeing the resources now at her disposal, she stopped trying to solve problems from a survival mentality. She realized she no longer had to do things like everyone else. And though people will tell you that you can’t build a business without money, Rebecca knew you could when relying on other types of capital. Instead of cash, she built Perpetual Motion on relationships, on integrity and on skill into the thriving business it is today. If Rebecca’s success can teach us anything, it’s how blaze new trails with the resources available to you — not to mention, how to build something out of nothing (or less than nothing, as our good animal doc would say).